Doug Keck is among the archived NYMLF breakfast sessions. Arthur C. Brooks is among the archived NYMLF breakfast sessions. Order Arthur's book, The Conservative Heart: How to Build a Fairer, Happier, and More Prosperous America. Jack Devine is among the archived NYMLF breakfast sessions. Order Jack's book, Good Hunting: An American Spymaster's Story. Chris de Vinck is among the archived NYMLF breakfast sessions. Order Chris' book, The Power of the Powerless: A Brother's Legacy of Love. Audio of Chris' talk is unavailable. Mark Rienzi is among the archived NYMLF breakfast sessions. Find out more about the Becket Fund for Religious Liberty. Audio of Mark's talk is unavailable. Matt Birk is among the archived NYMLF breakfast sessions. Order Matt Birk's book, All-Pro Wisdom: The 7 Choices that Lead to Greatness. Audio of Matt's talk is unavailable. Curtis Martin is among the archived NYMLF breakfast sessions. Curtis Martin // Founder, FOCUS; Co-Host, EWTN's "Crossing the Goal"
Sean Fieler is among the archived NYMLF breakfast sessions. Audio for Sean's talk is unavailable. George Weigel is among the archived NYMLF breakfast sessions. 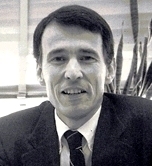 J. Christopher Donahue is among the archived NYMLF breakfast sessions. 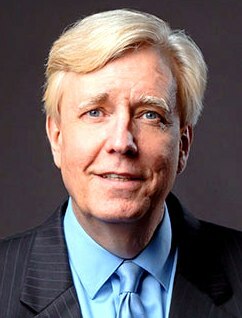 J. Christopher Donahue // CEO, Federated Investors, Inc.
Robert P. George is among the archived NYMLF breakfast sessions. Immaculée Ilibagiza is among the archived NYMLF breakfast sessions. The audio of Immaculée's talk is no longer available. Francis Cardinal Arinze is among the archived NYMLF breakfast sessions. Read the PDF version of Cardinal Arinze's talk. Timothy Cardinal Dolan is among the archived NYMLF breakfast sessions. William McGurn is among the archived NYMLF breakfast sessions. Larry Kudlow is among the archived NYMLF breakfast sessions. The audio of Larry's talk is unavailable. Maggie Gallagher is among the archived NYMLF breakfast sessions. Mike Piazza is among the archived NYMLF breakfast sessions. Raymond Arroyo is among the archived NYMLF breakfast sessions. 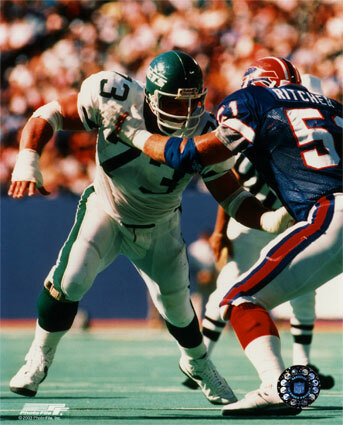 Joe Klecko is among the archived NYMLF breakfast sessions.